Orange Pi One/Orange PI GC2035 camera sanity check? So, with the 3.4.113 kernel the gc2035 driver fails when trying to identify the sensor. The problem lies in the sensor_init function where a read of the I2C/CCI bus fails. Before I break out the breakout board can anyone verify these basics please? 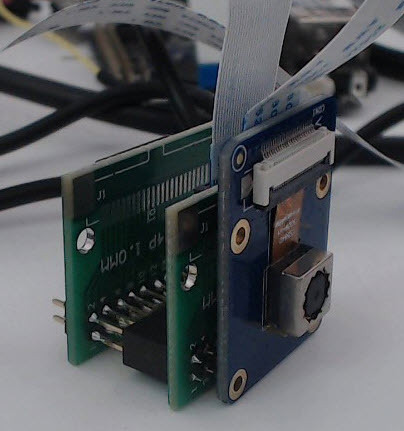 I've tried the various suggestions for setting one of the GPIO pins prior to loading the modules but to no avail. Cable, blue insulation on top side of the expansion board FPC, blue insulation facing up towards SD card on the OPI one. Some additional points. For the OPI one you have to enable one of the PIO pins otherwise the camera remains off. IMVHO the FriendlyArm boards with the 5MP OV5640 sensor are far easier to wrangle and do work at advertised resolutions/speeds. # run before you modprobe gc2035!